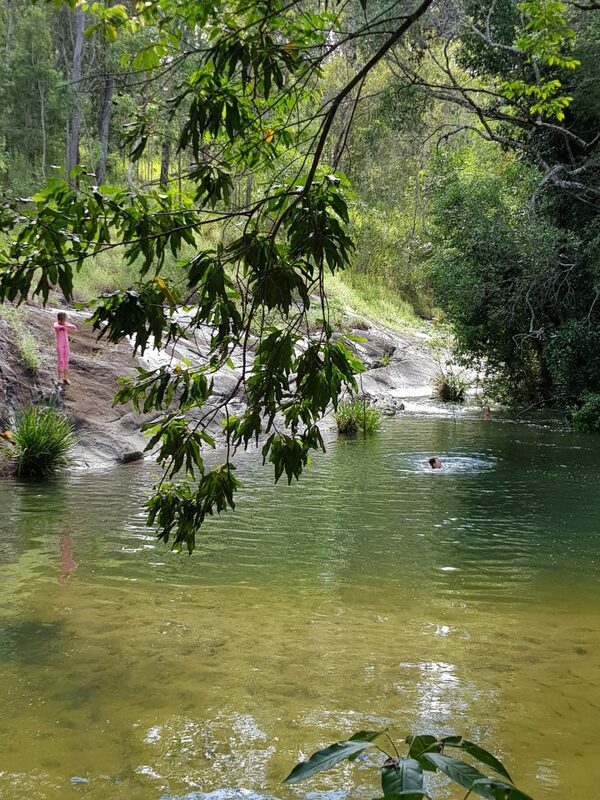 Our gorgeous swimming hole here at Sweetwater just after all the soaking rain we had which brought our creeks back to absolute splendour. So much sand on the bottom now and such refreshing water, invigorating after a dip. We have enjoyed many sightings of the platypus too since the big rain. The birds just love this area of the property swooping down for a drink and an easy feed. Yesterday we watched a flock of swallows hurriedly navigating the creek side vegetation and swooping in and out of the Platypus Hut and over the creek, a real spectacle. Lucky to see some Blue-faced Parrot Finches at the start of the walk though our private rainforest this morning. We topped off the walk with a sensational swim in the creek. What a wonderful way to start a Monday morning!